All American Sports hosted the 2015 National Championships in San Antonio, TX on July 16 – 19, 2015. There were teams from all over America as well as from different countries playing in the tournament. The American Sports 2015 National Championships were played at the Expo Hall of the At&t Center (home of the San Antonio Spurs). There were nineteen courts of basketball being played in the Expo Hall at all times. 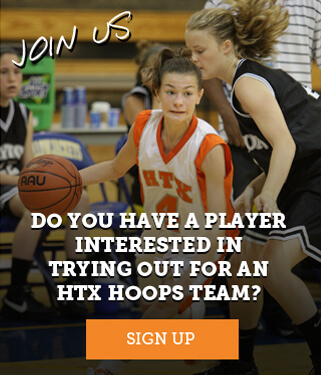 HTX Fire 2023 and HTX Fire 2018 were the two teams that represented HTX Hoops over the weekend. HTX Fire 2018 started out in Pool C of the AS2015NC games. Fire 2018 did well in pool play and ended up a number one seed in the JV Girls Silver Bracket. HTX Fire 2018 caught on fire in the bracket to defeat an international team from Mexico. The Fire 2018 went on from the international team win to play a team which they previously played in Pool C and lost to. HTX Fire 2018 cracked the code to defeating the team they previously played in pool play and won by a convincing margin. The Fire 2018 girls went on to win the Silver bracket play making a statement that they may be young but they are ready to compete. 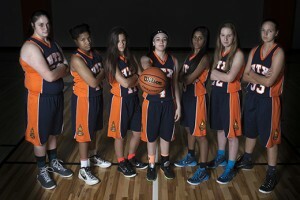 HTX Fire 2023 was eager to “Play Hard” for the AAS2015NC games. 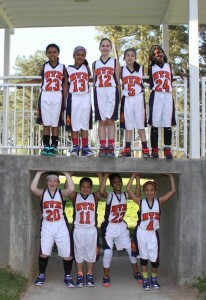 The ladies started out playing a top 4th grade team in the country in Pool A. HTX Fire 2023 went 2-1 in pool play. Fire 2023 got a chance to play against an international team in order to get into the Gold bracket in order to play for the 4th grade Girls National Championship. HTX Fire 2023 put everything they had into the Gold bracket. Fire 2023 left everything on the court for the final game of the tournament. Placing in the top 5 in the National Championships with five fourth graders, one third grader, two second graders and an injured fourth grade point guard says that these girls “Play Hard”. …Wish our HTX Fire teams that are traveling this week and next week the best. Play Hard!! !